Actor Vivek, who has mostly been cast in comedy roles so far in his career, has also played the lead roles in several movies, though they were comic entertainers as well. 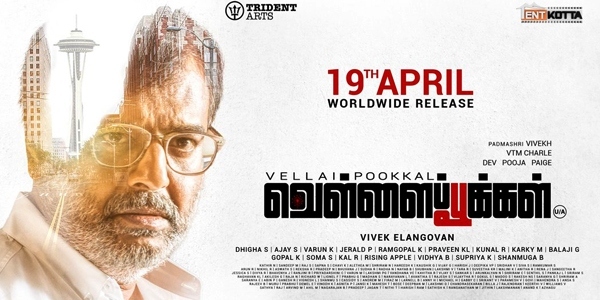 Now, for the first time Vivek has played the lead role as an ex cop who gets into solving a mystery, in Vellai Pookal. Retired police officer Rudhran (Vivek) travels to US to be with his son, with whom he was not in good terms, and befriends Bharathi (Charlie) there. Things go smooth, before Rudhran witnesses sudden disappearance of people around him, and when even his close ones go missing, suspecting a murder spree, Rudhran gets into investigation, and whether his police instinct helps him resolve the murder mystery is what the movie is all about. 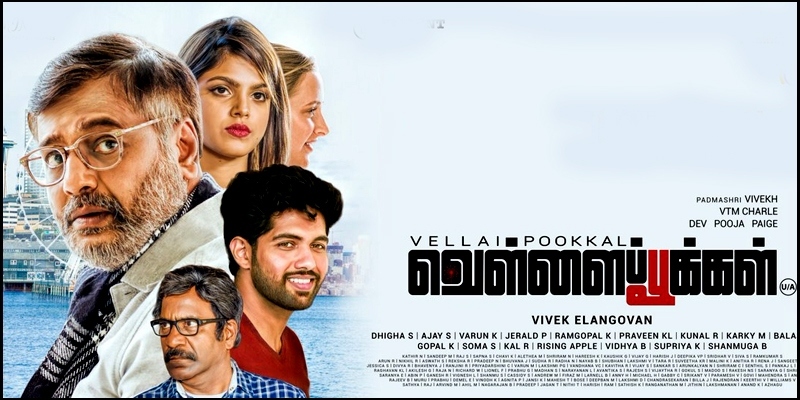 Vellai Pookal is directed by debutant Vivek Elangovan, and also stars Pooja Devariya, Gajaraj and many others. The movie has music by Ramgopal Krishnaraju , and has cinematography by Jerald Peter. Get ready to witness Vivek in an all new avatar in Vellai Pookal, releasing on April 19.